25 Dec 2016 The winners of the BAF Inter-School Archery Competition (held 20 & 21st Dec 2016) is being announced as below in corresponding categories and their prize items. The individual winners are from among the 402 students and teams from 73 schools that participated in the orange county dispensaries tournament. The tournament is part of the grassroots/ school program dedicated to 60th Birth Anniversary of the 4th King last year. The eligible national archery equipment suppliers are hereby invited to send their quotation for the following items by the 14th of December 2016. The successful bidder will have to supply all of the equipment within the month after the award of supply order. Aug 10, 2016 If the 5th ranked (11th World Seed) Tuiana Dashidorzhieva thought that it would be easy win over Rio 60th ranked (229th world ranking) woman archer during the first round of the eliminations of Rio Olympics #Archery Competition (#Rio2016), then she was in for surprise. In fact, she may never forget the fight this athlete, ranked some 200 places below, put up. A Chance for you to prove to the World how good the Bhutanese are in Archery! 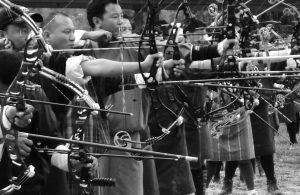 In order to select the National Compound Bow Archery Team, the Bhutan Archery Federation is inviting interested compound bow archers to International Style Compound Bow Archery Coaching Camp and Competition to be held in Paro Woochu School Football ground (opposite Airport). The Head Coach of Bhutan Archery Federation – Tashi Tshering has completed Level 3 Coaching Course – the highest certification in archery coaching courses. Tashi was in Bangkok, Thailand undergoing the coaching course conducted by World Archery Federation at World Archery Center, Bangkok between 20th – 28th Feb 2016. The Expert Yap Lee Chong successfully conducted the course. Tashi Tshering’s stay was hosted by World Archery Federation. The Bhutan Archery Federation acknowledges the World Archery Support #World Archery rendered also in the past. 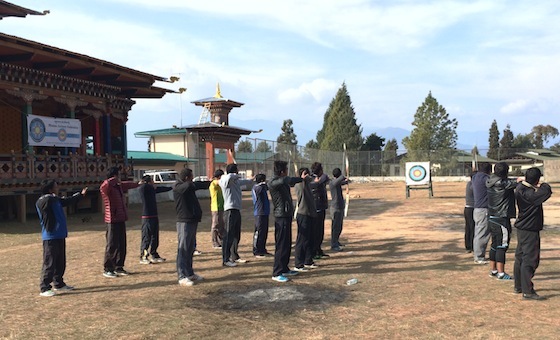 25th Jan 2015 The Entry Level Archery Coaching Course have begun from 24th Jan at Sherubtse, Kanglung. A total of 19 participants (School Sports Instructors, PE Teachers) from different corners of Trashigang District are participating this course, which would enable them to teach the interested students in their schools. The participants would be awarded nationally recognized certificates. There would be 1st Bamboo Recurve Bow Competition held to end the course on the 31st Jan. The winners of the BAF Inter-School Archery Competition (held 20 & 21st Dec 2016) is being announced as below in corresponding categories and their prize items. The individual winners from among the 402 students and team from 73 schools that participated in the tournament. The tournament is part of the grassroots/ school program dedicated to 60th Birth Anniversary of the 4th King last year.